When I start to draw I remember things that I have experienced or seen. Although I do not attempt to recreate these images exactly, that is what might happen. Sometimes they come out more realistically but sometimes they turn out completely different. That is what happens when I draw. 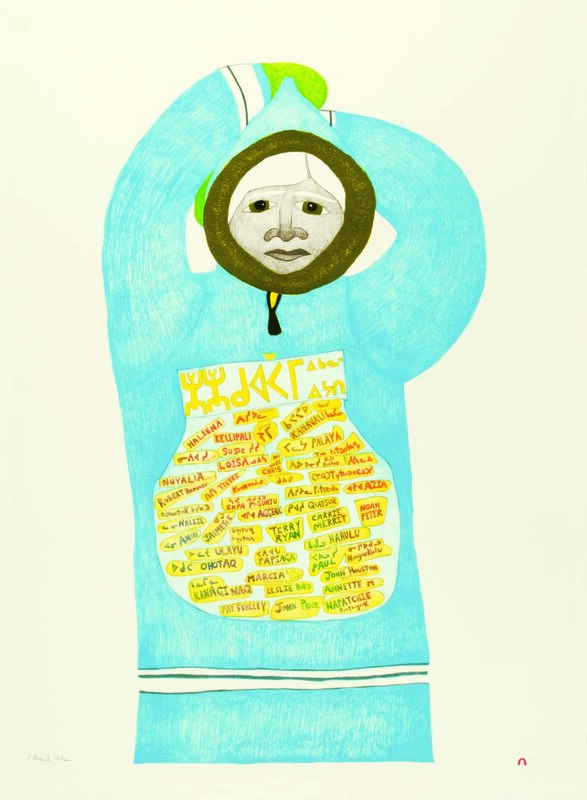 Shuvinai was born in Cape Dorset in August, 1961. 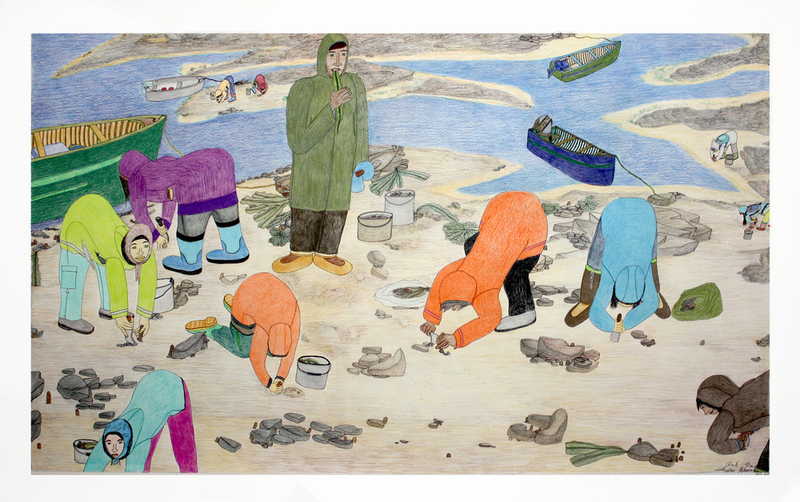 She is the daughter of Kiawak Ashoona and Sorosilutu, both well known for their contributions to the arts in Cape Dorset. In an unusual contemporary collaboration, Shuvinai recently worked with Saskatchewan-based artist, John Noestheden, on a "sky-mural" that was exhibited at the 2008 Basel Art Fair and was shown again at Toronto’s 2008 "Nuit Blanche". It later traveled to the 18th Biennale of Sydney in 2012 and in 2013 it was part of ‘Sakahans’ an exhibition of international Indigenous art at the National Gallery of Canada. In 2009 her work was presented alongside Toronto-based artist Shari Boyle at the Justina Barnicke Gallery at Hart House. Shuvinai is also the subject of a documentary art film, Ghost Noise, produced and directed by Marcia Connolly. Shuvinai is slowly gaining more international attention and in 2013 she was included in the prestigious Phaudin publication, ‘Vitamin D2. New Perspectives in Drawing’. Shuvinai will be represented at SITElines 2014 Unsettled Landscapes in Sante Fe, New Mexico.